Exploring the natural, cultural, and historical features of Los Angeles County. Chances are - if you don't live in L.A., you haven't heard of San Pedro. And if you do live in L.A., you haven't been. First Stop: Take a stroll in Downtown San Pedro. DT San Pedro has exploded over the past 10 years with a burgeoning art scene, new restaurants and an assortment of retailers. - Sacred Grounds. 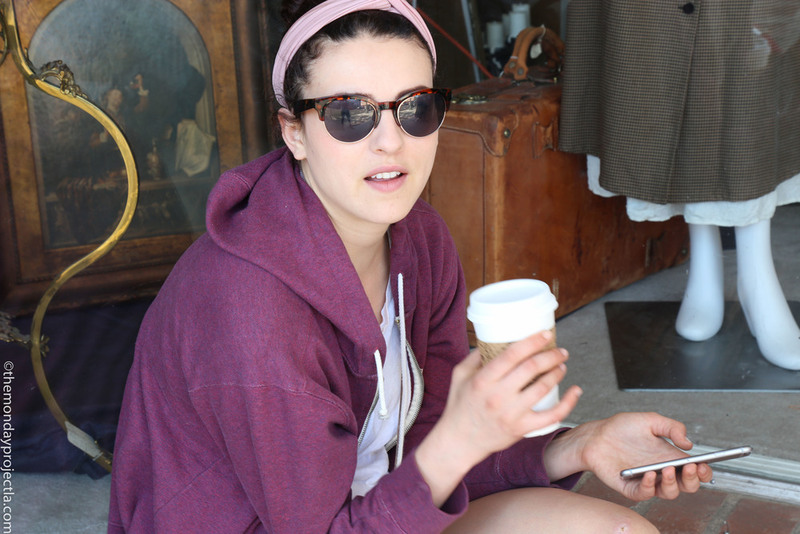 If there’s such thing as a coffee shop equivalent of a dive bar, this’d be it. The San Pedro vibe is strong here. Take it in. Sweet employees and cheap coffee, couches a plenty and prime Pedro people watching. It also functions as a gallery and live music spot. Bonus: if you’re a Scarlet Johansson or Thora Birch connoisseur, Sacred Grounds’ original location was featured in the 2001 movie Ghost World. - The 1930’s Art Deco style Warner Grand Theater. This too got its moment in the limelight in 2001, as a location in the film Pear Harbor. B. Marcus Priteca, the architect who designed the Warner Grand, also designed the famous Pantages Theater in Hollywood. - While you’re downtown, pop into some of the art galleries that line the street. Take the opportunity to cup your chin with your thumb and forefinger and remark on the symbolism captured by artist’s bold use of curvature within the painting. - Continue down 6th Street and walk to the waterfront. Take a left to see the recently reinvigorated waterfront. Or, take a right, and head to Ports O’Call for some micheladas and seafood. Second Stop: Pickup Busy Bee for Lunch. 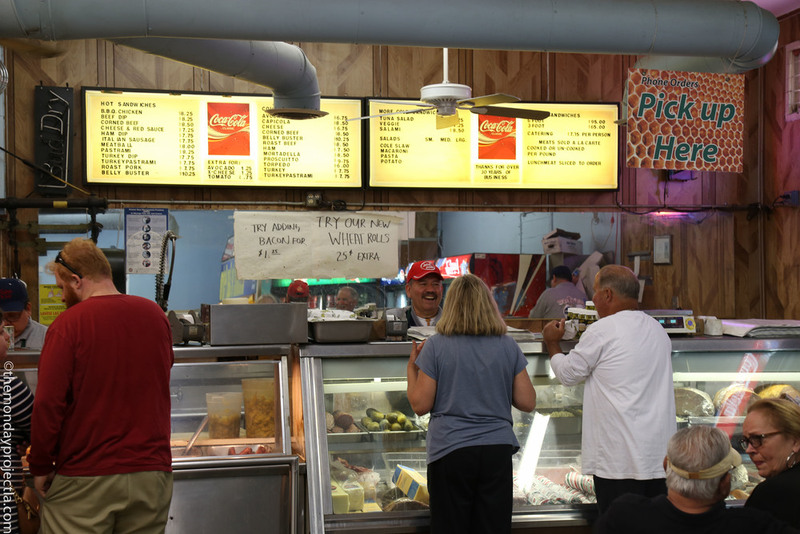 Busy Bee is an uncontested Pedro sandwich staple. Locals line up to get their 12” sub brimming with deliciousness. There is so much about this place to be cherished: the charming staff, the food that you’ll want to jam, unabashed, into your face, the atmosphere (which seems un-phased by modern times). It's nothing fancy or gourmet. Just a gold old fashion sandwich. A local’s tip: Call ahead and avoid the inevitable lunchtime line. Then, off to the park you go! Third Stop: Have a picnic at Averill Park, and bring your Busy Bee! Averill’s got picnic grounds, BBQ grills, a gazebo, waterfall, ponds, bridges, shaded areas, rolling hills (literally, rolling hills. Hike up your skirt and roll down them hills). Also, some anonymous someone has constructed tiny fairy homes out of found park-parcels. Hint: there is one by the waterfall. Fourth Stop: Angel’s Gate Park. 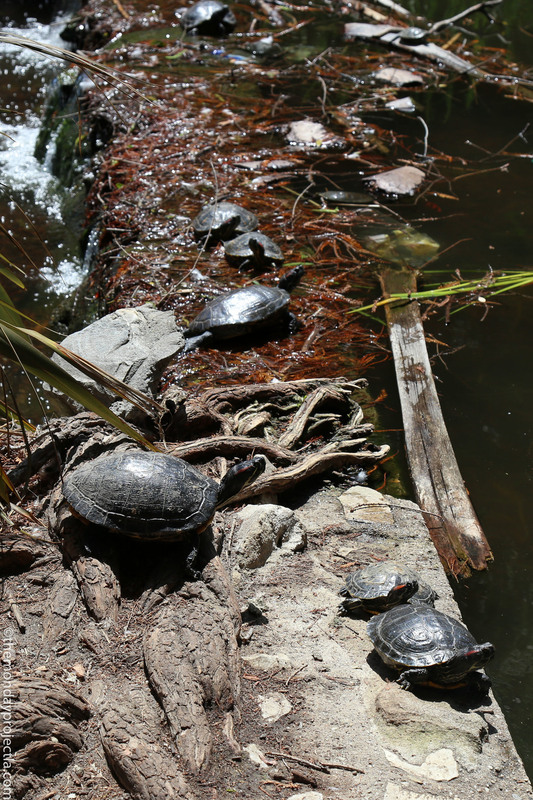 Angel’s Gate Park is a treasure chest of San Pedro gold. It is home to a multitude of sites and an unbeatable view. A Couple of its site include, but are not limited to…. - The Korean Friendship Bell. The massive bronze bell was a gift from the Republic of Korea, given to the United States in 1978 to celebrate the bicentennial of the friendship between the two nations. Fifth Stop: If you’ve done any research on San Pedro, you’ve probably come across some mention of Sunken City. Okay, so here’s the deal: In 1929, a nearly 40,000 acre bit of coastal San Pedro slipped (ever so delicately) into the sea. Several houses and a road were lost… What remains today (and, honestly, way better) is a mini-graffitied wonderland of broken asphalt. 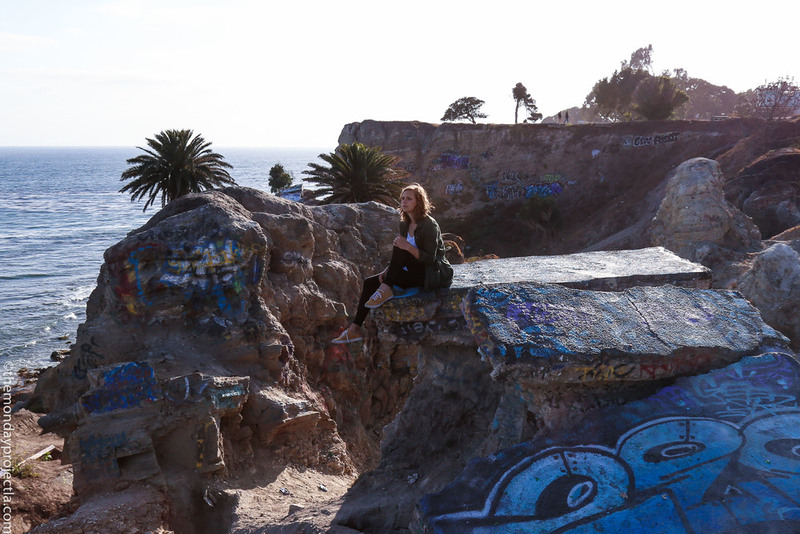 DISCLAIMER: It is illegal and considered trespassing to enter Sunken City, so enter at your own risk! It also requires a bit of minor climbing and squeezing through fences to get to. That being said, people frequent this spot, and, to our knowledge, no one has ever been fined. Sixth Stop: The Tide Pools! A little bit further down Paseo Del Mar are stairs that lead down a cliff to the Sea. (link to map) Check the low tide times online (http://www.tides4fishing.com/us/california/point-san-pedro ) and go for a fun tide pool adventure. Be mindful that the rocks are slippery! Seventh Stop: Have a sunset beer at Walker Café. We ended our San Pedro adventure with a beer at Walker Café! It’s a biker hangout right by Park Fermin and Sunken City. The petite little café is such a gem. Okay, to be frank, it feels a spot uninviting to the outsider when you walk in. But, if you strike up a conversation with the lovely counterperson, you are golden. 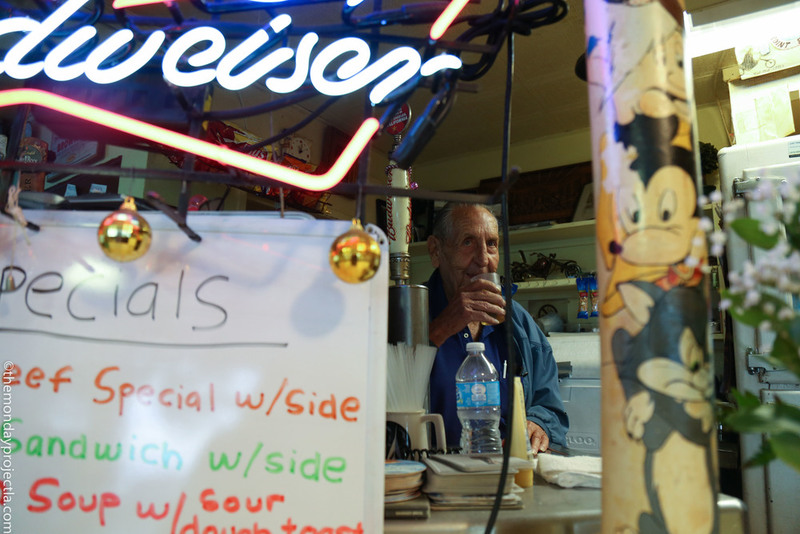 Order a cheap beer, and enjoy it in what feels like a diner straight out of the 50’s. Ask the owner Al (pictured, sipping a beer) about the joint or ask for a tour. You’ll be floored.